• Reporting 3.0, a global public good nonprofit platform of Positive Mavericks working to transform to a regenerative and distributive economy using disclosure as a fulcrum of leverage. • Convetit, an online stakeholder engagement platform. 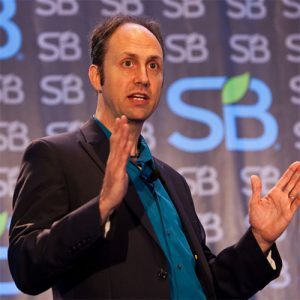 He currently serves as Senior Director of Reporting 3.0, where he oversees the series of Blueprint Projects crowdsourcing redesign templates for the fields of reporting, accounting, data, and new business models with the goal of triggering the transformation to a regenerative and distributive economy and society. Baue has worked with prominent organizations across the sustainability ecosystem, including Audubon, Cabot Creamery Coop, Ceres, GE, Harvard, United Nations Environment Programme, Walmart, and Worldwatch Institute. He serves on the UN Science-Policy-Business Forum, the Technical Advisory Group of the Science Based Targets initiative and as Senior Advisor to Preventable Surprises.